SecureSet Academy is an immersive cybersecurity bootcamp in Denver, Colorado Springs, and Tampa. This intensive program includes extensive hands-on instruction in state-of-the-art labs, guided product training, and preparation for essential certifications (CISSP and Security+). SecureSet approaches intensive training by balancing 50% practical labs with 50% theory. To fill the cybersecurity skills gap, SecureSet offers several programs requiring different backgrounds: CORE Engineering (a full-time 20 week immersive program), HUNT Analytics (a full-time 12 week immersive program), PATH Engineering (a part-time 36 week immersive program), and PATH Analytics (a part-time 36 week immersive program). Graduates of SecureSet Academy’s state-approved programs will receive a diploma, and will be prepared to take their CISSP and Security+ certifications. Plus, graduates depart with a personal portfolio of evidence of the knowledge and skills they have learned at the Academy. The SecureSet admissions process includes an application and an interview. SecureSet looks for a basic working knowledge in networking and/or programming (for CORE applicants) and analytical abilities (for HUNT applicants). To prepare for the admissions process, SecureSet offers a prep program to help develop the technical and analytical skills needed to succeed. Students who enroll in an immersive program following PREP can apply their PREP costs to their continued education. Additionally, SecureSet graduates can qualify for one year of college credit with Norwich University. Our CORE Engineering program is your direct path to a cybersecurity career. This 800-hour immersive curriculum includes ten foundational courses, extensive hands-on skill building, and guided product training. CORE Engineering students graduate with the sought after knowledge and tradecraft for immediate employment as tier 1+ security engineers, technical analysts, pen testers and consultants. The evolution from general IT to cybersecurity can take five to 10 years. The CORE does it in 20 weeks. Typically, we find that students with some degree of technical skill or experience are most successful in our CORE Engineering program. Examples of the types of backgrounds that we typically recruit from are as follows; IT Help Desk, network administration, system administration, web development, programming, self-taught hacking or military training. Our HUNT Analyst program is your direct path to a cybersecurity career in an Analyst role. This 480-hour immersive curriculum includes eight foundational courses, extensive hands-on skill building and guided product training. HUNT students graduate with the sought after knowledge and tradecraft for immediate employment as tier 1+ security analysts, threat analysts and hunt analysts. 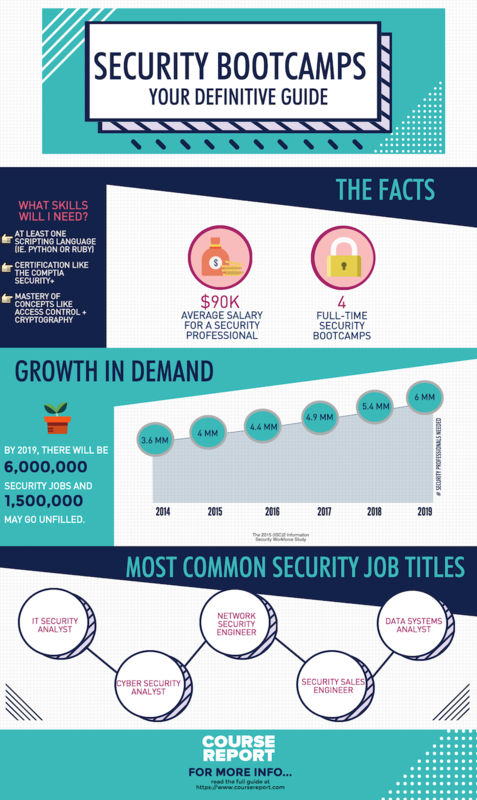 The evolution from general IT to cybersecurity analyst can take three to 7 years. The HUNT program does it in 12 weeks. PATH is our 36 week, evening program that allows you to pursue either an analytical or engineering path of curriculum. Following two shared courses, students choose their path and take three more shared courses as well as three courses unique to their path. All PATH graduates earn a SecureSet Diploma. PATH ENGINEERING Students with some degree of technical experience are most successful in our 576 hour, 8 course, engineering path. PATH Engineering students often come from IT, self-taught hacking and military backgrounds. Graduates tend to find themselves in Security Engineer, Technical Analyst, Security Pen Tester and Security Consultant roles. PATH ANALYTICS Students who succeed in the 576 hour, 8 course, analytics path often have strong communication and analytical skills. Path Analytics students come from a variety of backgrounds, including: business management, liberal arts and military service. Graduates often find themselves in careers as SOC Analysts, Threat Intel Analysts, Security Consultants and Compliance Analysts. This workshop is the ultimate preparation for individuals looking to take any of our immersive programs and launch their career in the field of cybersecurity. This six-week evening or online self-paced course will give you the introduction to Systems, Networking and Python that you need to be a rockstar in our programs. Passing this workshop guarantees admittance to one of our programs, with the ability to deduct the cost of this workshop from your program tuition. Course Instructors: Cybersecurity has multiple domains. SecureSet employs a range of experts who can relate their expertise to the broader field. The result is a comprehensive, state-of-the-art and fully integrated curriculum. Course Grading This workshop will assess the student’s skill development across subject areas via quizzes and labs. The successful student will score 80% or better for entrance into the CORE Technical program. For entrance into the HUNT Analyst program, the successful student will score 60% or better. Prerequisites This workshop is for individuals with a high level of interest in cybersecurity but a lack of experience in base-level technical skills. If you are technically inclined and have the desire to put in the work, you can be successful in this class. Optional Resources We have external study materials available on request for all subject areas of this workshop. Academy technical and career counseling staff are available to discuss the cybersecurity industry and your background and objectives in further detail on a one-on-one basis. I attended the Prep Course and the Hunt Analyst Program in Tampa. I came to SecureSet with a Bachelors degree and several years of work experience that were not in IT or Computer Science. I had been interested in cybersecurity for a long time, but did not know how to break into the industry. Despite being a novice, I received a job offer prior to graduation and am currently working in the field. I could not have done this without the opportunities SecureSet provided to me. In addition to the technical skills, they fully immerse you in the culture of the industry. They also find great instructors and staff. I agree with what others have mentioned, which is that you get out of this course what you put into it. I attended several after class events and spent my nights and weekends practicing or expanding on what we covered in class. If you do not put the time in the complete the coursework it is easy to fall behind, and you will never gain the hands-on experience you need to be an attractive candidate. My cohort had individuals like me without any experience, as well as individuals with technical backgrounds. I would highly recommend SecureSet to motivated individuals that are interested in an InfoSec career. Hi, I wanted to provide an honest, fair review of SecureSet Academy. They are based in Denver, CO and I graduated from the HUNT course in June 2018. First, let me describe my previous IT experience and where I was going in developing an InfoSec career. I had been out of the IT field for nearly 20 years. I decided to use my Post 9/11 GI Bill to attain another degree and went for cybersecurity. While I was taking those courses, I found SecureSet Academy on MeetUp. I attended their Info Nights, Guest Speaker MeetUps and CTFs. I thoroughly enjoyed those evenings and learned so much! My skills in the classroom at school were being impacted very positively by my time spent in the evenings with SecureSet. Upon graduation, I decided to pursue SecureSet's HUNT program due to its alignment in threat analysis versus CORE, which is geared towards pentesting. My expectations were more than met in the classroom and my skills increased dramatically, swiftly. While my new degree did provide knowledge in networking, Linux, Python, threat analysis, GRC, ethical hacking, etc, the desire to compound those skills with strategic thought (CARVER, OODA, etc) and understanding of how to manipulate the knowledge in different and segmented ways is outside of the 'college experience'. This is where SecureSet truly shines. We build various systems on our laptops via VMs. This pushed me to buy two Dell R610s with a lot of memory to build various systems in my home: pfSense, Cuckoo, Security Onion (to name a few). The most important and impactful aspect of the environment is the small class sizes. This allows so much interaction and development, not just between student and instructor, but between peers. Each of us brought different life skills and knowledge to the group and all of us grew because of it. Now, here is where I say YMMV. You will only get into this program what you demand. If you are going to push yourself, have high levels of desire and willing to work at home on systems outside of the classroom, you'll excel. If not, you'll get by, but you won't be very desired by the employers who come through the door and want SecureSet grads. InfoSec is not a career where you can 'get by', you have to push. You have to have desire and passion. If you are looking for a 'fast buck' as cyber is 'hot', no school is going to truly help you. Why? Simple: you're putting in 40hr a week in a classroom, you can't fake it for 8 weeks straight and come out with a hot career making 50-75K (Tampa money, not Colorado, it's higher in Colorado) because you'll be figured out by your peers, instructors, the staff and those who interview you. So, if you are unsure if this is for you, take their BootCamp course first and see if this is really for you. My 'BootCamp' was 1.5 years in college... SecureSet offers a nice shortcut. I graduated and got a job with an MSSP in Tampa: great pay, perfect shift. I have completed the CompTIA Security+ and Linux+ certs, taken DHS's ICS coursework and now studying for the CISSP. Motto: Never let off the gas. Secure|Set is a place for people who are serious about learning and are willing to go the extra mile to take charge of their career. I attended the CORE Engineering class and would recommend the course to anyone that is interested in a Cyber Security or Secure Development position. The instructors start you at the basics and make sure everyone in the class gets to the same baseline before the tempo really picks up. The cohort model is a great way to foster a supportive environment where you get to network with your classmates and make some lifelong friends. The instructors are all very competent and are willing to help you along the way because they genuinely care about your success. The career management team does everything in their power to put you in front of the right people to build your network and set yourself up for future success. Secure|Set prides itself on not being a certification factory. That being said, if certifications are your goal, the information you gain from this course will get you where you need to go but they do not teach to the tests. Self-study will be required. With Secure|Set you get out of it what you put in. You can't succeed by warming the seat. I recently completed the CORE program at the Colorado Springs Campus. Prior to starting this course my cyber security background was very limited. First and foremost, if you decide to take part in this program know that this is not a part time endeavor, prepare yourself to put in the work. Our cohort was primarily made up of veterans with varying levels of experience in cybersecurity. I cannot stress how instrumental the entire cohort is to your overall success. I am extremely grateful to all my team members for the help throughout the course. A typical week would consist of classes Monday through Friday 8:30 to 4:30 with a couple of hours of home study and at least half a day on Saturday to complete all course work. If you are looking to just get a certification then this is probably not the place for you. The material that you cover, and some self-study will prepare you for the certification tests but that is not the purpose of this program. That said, after this course there is no reason you will not be ready for Sec+. I know from experience their focus on hands application of the book knowledge you gain is the preferred method. Prior to attending SecureSet I took a bootcamp for NET+ and passed the test, however when the networking classes started, I quickly understood the difference between knowing a book answer and applying that knowledge within an actual network. In addition to the cyber knowledge gained the career counselor work tirelessly to set up opportunities to network with industry leaders, practice interviewing, and polish my resume. These opportunities undoubtedly ensured my success in finding employment post SecureSet. The campus staff and instructors were all highly qualified and take a keen interest in your success. I had to reach out to instructors several times after hours and was never left without answers. If you are willing to put in the time and effort it will undoubtedly be matched by the efforts of the cadre. If you are looking to gain a solid foundation for a career in cyber then you should absolutely consider this program. Restaurant Manager to Threat Analyst in 4 months. I put a lot of work into the original blog I was going to post, unfortunately I never saved it or something.But I'll keep this shor t and simple since the important thing is that like everything, you get out of it what you put in. Take Scott Bowman's advice. Anything job search related is what he does best. and honestly, his Advice would hav ebeen worth at least half of the HUNT program's tuition. Matt, Alan, JC are extremely technical and know what they are talking about. And additionally they have great personalities that make going to class fpr 10 weeks, 8 hours a day bareable, and typical enjoyable. The support staff and admin are extremely friendly and I only regret not having the opportunity to interact with them more. This was a hail mary for me. I was working a sub 30k salary job at a restaurant with no benefits, and was stuck. I had managed to have family give me the money to survive while I took 3 months off and partook in this cohort. I graduated with 4 or 5 interviews happening the last couple of weeks of the classes. I graduated the 20th of December started a new job with Comcast through Brooksource on Jan 1st. and by the end of January, Carbon Black offered me a position, making over twice I was before. In one year I would have been able to pay off a loan if I had took one out. My 4 closest friends I made there, 3 months after the program, 3 of them have jobs, and one was kind of thrown around by a single interview process. They were all fun to be around and I have no doubt I'll be seeing them regularly for the rest of my life. This program is worth it if you want to get your foot in the door of cyber security. And I know that companies look at SecureSet to find qualified individuals. If you can and want, do it. As a senior in HighSchool, I made an unprecedented decision to take my education into my own hands. I was never a good student but I had a goal and a passion to become something great. Looking on the success of others in the past, I made a decision to explore alternative education options to jump-start my goal of becoming an IT professional. College, being as expensive as it is, was off the table for me and I had to discover a way to educate myself for less. I began to research and came across SecureSet Academy which offered extensive training on a variety of topics all focused on security. The coursework was difficult and unorganized at first but it enabled me to grow so much as both a professional and a learner. I learned discipline, teamwork, honesty, respect and more through this course and couldn't recommend it more for a young professional like me. After the course was complete, I pushed hard to find an opportunity and landed at a fortune 500. SecureSet gave me the knowledge, tools, and resources to make this happen and they continue to help even a year after graduation. This course is definitely not without its difficulty especially at the ripe young age of 18. If YOU are a passionate young person looking to make a difference in your life and you aren't afraid to push yourself to the edge of your limits this course is for you. It's going to take you drive, discipline, and integrity to get you to the finish but once you do, I swear it will change your life. The instructors are top-notch, the curriculum is solid and the job hunt is what you make it, the only thing between you and a great IT job is whether or not you have the discipline. If you're looking for something other than the cookie cutter college experience, I could not recommend SecureSet enough. SecureSet Academy has amazing instructors who can take you from being a beginner in all things cyber to a proficient level. Thanks to SecureSet and its instructors I have had two high level job offers with well known cyber companies, all without prior experience in the field! I highly recommend SecureSet to anyone looking to go down the cyber career path. SecureSet Academy is a great resource in terms of academics, instructors, campus, and social scene. I transferred from my military to the civilian life while studying at SecureSet and it was definitely the right decision. A lot of direct practical experience with different software, Operating Systems, "hacking" tools, case study, and a lot of work, but manageable. It was definitelly an intense cyber bootcamp for a only 6 month period. Overall, great experience. SecureSet provides a holistic approach to cyber. From offensive to defensive cybersecurity to governance, risk and compliance. Perhaps the most essential piece to a successful career is social networking, and SecureSet has the best job assistance paired with career services any school can offer. Education and hands on experience all in one place! Coming up on just over a year working for great company I cannot help but be amazed on how graduating from the CORE program at SecureSet impacted my life! I would have never been able to land my perfect job without the help of SecureSet Academy. Not only did they help ease my transition from military life to civilian life, but they also gave me the tools needed to succeed. As an alumni from the first CORE class in Colorado Springs, I am incredibly proud of the progress made to further enhance student learning and career services. The SecureSet staff is dedicated to your future! Work ethic and drive help you become successful once you are in the field, SecureSet opens the door to get you in front of hiring professionals. Attending SecureSet Academy was the best move I made in advencing my career and doing something I love. I am truly thankful for the opportunities that the school has provided me. The teachers were very supportive and experts in their field. I learned so much in short time I was there. I highly recomment it if you are looking to jump start your carreer in cybersecurity. My experience at SecureSet Academy was phenomenal. Even though I entered with only limited IT experience, SecureSet thoroughly provided me with the tools and training I needed to jumpstart a career in Cyber Security. The full-time program is highly intense and challenging, packing a year's worth of accredited material into six months. It is the real deal. Each of the teachers were venerable experts in their respective fields; individuals who are industry leaders even outside their roles as teachers at SecureSet Academy. The school provided the training I needed to conquer industry-recognized certification exams, including the Security+ and CISSP, both of which I successfully passed on the first try. They also have ongoing hiring partnerships with companies both locally and nation-wide, which is how I landed my current job as a Risk Specialist just one week after completing the program. I've been highly recommending SecureSet to everyone! SecureSet Academy was a great opportunity to be a part of. The teachers there were not only experts in the field that they taught, but they took the time to not only teach you the theroy, but also the technical skills and made sure you understood each concept that was covered. It is a great program to be a part of it you want to start a career in cyber security. I thought secureset was extremely helpful program. I received a well rounded education in cyber security, from hacking, to forensics, analysis, python, different Linux systems and gave me the basic fundamentals of network set up and trouble shooting. The GRC portion was a bit arbitrary and could use some looking at. Also many of the lesson plans need to be updated as there would be wrong steps to follow. That could be considered a good or bad thing as this requires people to problem solve and work as a team to complete the labs. I felt that secureset core program also began the process of preparing for the compTIA security plus certification. There is still a lot of self study and preperation that needs to be done for security plus, but it is important to remember that this course isn’t going to make you a master at one thing, but rather a apprentice at many and just enough to make you competitive in your future job search. What I found to be the most important part of this was, the preperation for employment after school was complete. There are a lot of mixed reviews about this, but strictly just for the sheer number of employers I was put in front of and the continual updating and tweaking of my resume, dressing in business attire, having mock interviews. The whole process here prepared me, and I am happy to say I ended up with several offers. All in all the program is what you make of it. You can’t expect it to give you everything “like a hand out” but if you put in the effort, and take it seriously as well as do some self study and prep to find a job, you essentially give yourself the tools to move into the career field with a lot of skills. I agree with several other reviewers for this coding bootcamp, know before you pay. Many people that I have talked to who attended the CORE, PREP is better than the CORE Program, you're also spending less money 1,500 vs 20,000. If you are Civilian, then I would not recommend the Colorado Springs location, since it caters to mostly cleared military veterans or active personel. Plus, after graduation you simply get a Technicial Diploma and no certifications. Also, this term the graduation ceremony was very unorganized, since the main staple of graduation is getting a black zip up hoodie with SecureSet Academy on the sleeves and a geometric wolf on the back. At the beginning of the program, the staff pass around a sheet asking for hoodie sizes, which they totally ignored. I got a hoodie that was oversized and had no geometric wolf on the back. Its not worth $20,000.00, maybe half that price, since you do not recieve a voucher to take a CompTia cert. I definately recommend taking one of the CompTia Bootcamps, since they prepare you to actually take a cert, which will further market you in the world of Cyber Security. However, the best thing I received from this 5 month bootcamp was a tight family network, throughout the Green and Blue Cohorts. We’ve just begun the ‘Capstone’ project, and I feel like I’ve learned next to nothing, as does everyone else in the class. The “labs” were written in broken English and often did not work, the servers and licensing for the programs were broken and not available for most of the program and there’s so many unnecessary classes you’ll spend more time researching politics and philosophy than learning IT. The teachers are all smart and want to teach you but the entire thing is so rushed that you spend one day on a subject then move on and never touch it again.Only 2 people in the entire class have job offers and they worked in IT before. I would give anything to get my time and savings back. if you are not active/former military or already expirienced in the IT industry, the benefits of this program are few. They sell you on a “hands-on” curriculum, which is grossly incorrect. Numerous hours were spent on things like “threat intelligence” and various other industry-sounding things that all amounted to nothing more than common sense practices. There was an extreme lack of any hands-on activity or any deep dive into the technical aspects of cyber. Now the networking opportunities and career services are actually pretty good, HOWEVER since you do not learn many practice skills this pretty much amounts to nothing. My “cohort” was incredibly unorganized and half-baked to the point where I was downright shocked that we didn’t receive anything more than a “sorry. Hopfully the next one is better”. At the end of the program, I got very lucky and found one of the FEW places that would hire with no experience (though they hired me mainly for my previous expirience... the job I got into cyber specifically to never have to do again.) . However, it is a position that is more administrative assistant/secretarial work than actual security analysis. Not only that, but I still lack the practical cyber knowledge for even that position. This has put me in a very unfortunate situation where every day is a struggle, and I am constantly on the verge of making very costly mistakes, but I am stuck paying back the loan I needed to attend Secureset so I am completely stuck. Plus, due to my lack of actual skills in cyber I am unable to even go to another company. Now if you are military, the school seems to do a decent job of assisting you (makes sense since most of the administration is prior military), and if you can get your GI Bill to cover it I’d say it’s probably an alright investment. If you have been in IT already for a number of years (meaning you have accumulated some sort of skill set) then this also might be an alright option... although if that’s the case you’re probably smart enough to teach yourself and just study for SEC+. The faculty was very nice, and I don’t believe any of them had any ill intentions, but the program just simply does not have the proper amount or type of content. For me, I wish I could go back and stop myself from ever enrolling. Any other information you'd like to share with Mark from SecureSet Academy? By submitting, I acknowledge that my information will be shared with SecureSet Academy. An email with these details has been sent to SecureSet Academy. You've already applied to this scholarship with SecureSet Academy.